Nataliya Lupu will not compete at this weekend’s IAAF World Indoor Championships in Portland after testing positive for meldonium. The IAAF confirmed to AW that Ukraine’s 2013 European indoor 800m champion will miss the event in Oregon because of a meldonium finding in her body. Meldonium was added to the World Anti-Doping Agency (WADA) prohibited list from January 1 of this year and according to USA Today, the number of positive tests for the banned substance has now reached 100 worldwide. Russian tennis star Maria Sharapova is among those to have tested positive for meldonium, while it is also reportedly the substance which Sweden’s 2013 world 1500m champion Abeba Aregawi recently tested positive for. A statement on the Ukrainian athletics federation’s website confirmed Lupu’s withdrawal from the World Indoor Championships, stating that WADA had raised concerns about the use of meldonium. That statement also included comment from Lupu, who said she had used meldonium prescribed by doctors since 2001 for medical reasons after “changes in my cardiogram”. As the substance was added to the WADA prohibited list from January 1, Lupu said she stopped taking meldonium last November. 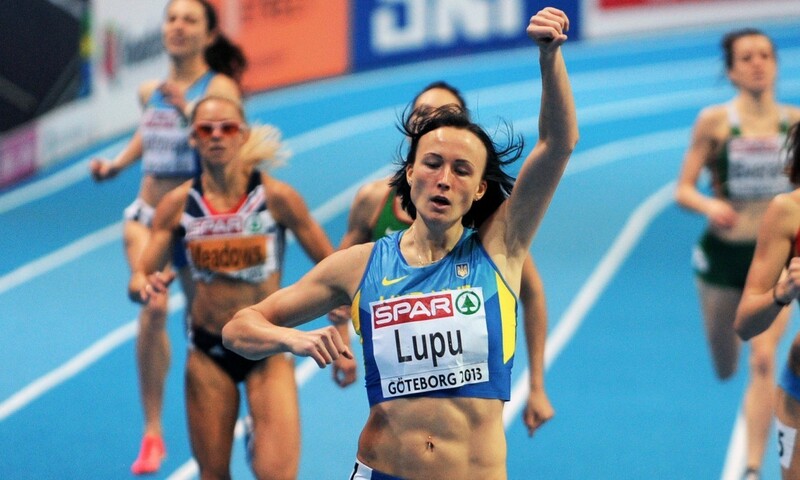 As well as her European Indoor Championships win in 2013, Lupu also claimed world indoor 800m silver in 2012. She was handed a nine-month doping ban in 2014 after testing positive for banned stimulant methylhexaneamine at the World Indoor Championships in Sopot, where she had finished fifth.